IPPN Education Expo 2017 – See You There! IPPN’s Education Expo is Ireland’s largest trade event for the education sector bringing together more than 125 companies and 1,200 primary school principals and teachers from primary and second-level over 2 days. 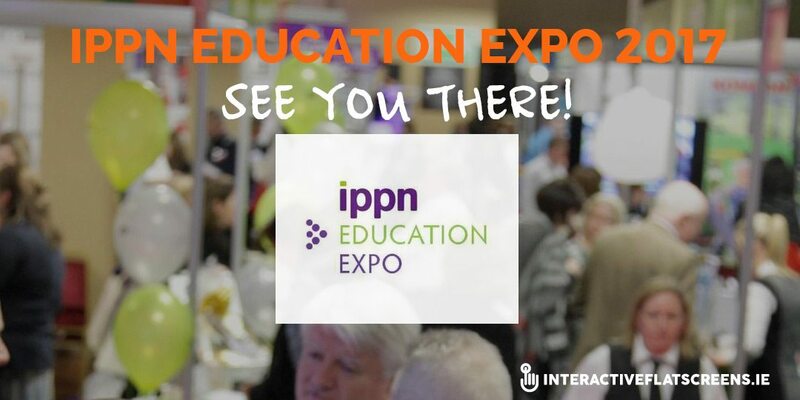 Education Expo is a component of IPPN’s Annual Principals’ Conference taking place adjacent to the conference auditorium in Citywest Convention Centre. This year the event takes place on Thursday & Friday 26th & 27th January 2017. IPPN Education Expo 2017 – We’ll Be There! 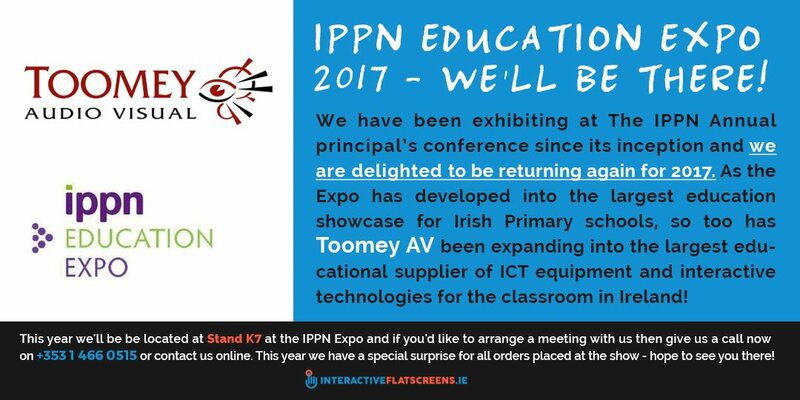 Toomey Audio Visual, and by extension InteractiveFlatscreens.ie, have been exhibiting at The IPPN Annual principal’s conference since its inception and we are delighted to be returning again for 2017. As the IPPN Education Expo has developed into the largest education showcase for Irish Primary schools, so too has Toomey Audio Visual been expanding into the largest educational supplier of ICT equipment and interactive technologies for the classroom. Our website www.toomeyav.ie is a common reference site for many school principals and IT responsible teachers to see all the latest products in the Audio-Visual spectrum. 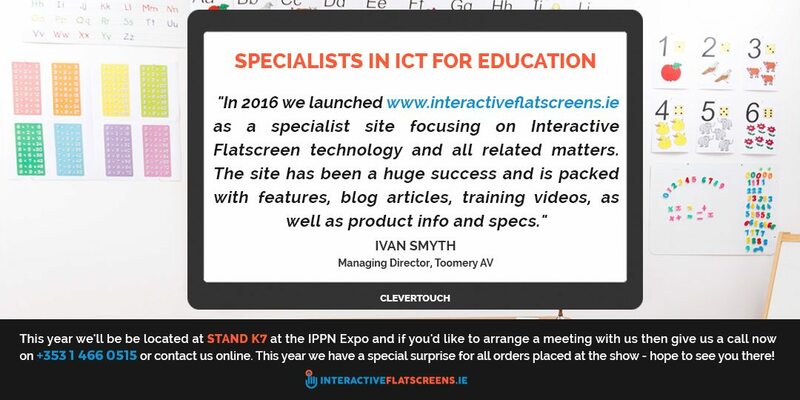 In 2016 we launched www.interactiveflatscreens.ie as a specialist site focusing on Interactive Flatscreen technology and all related matters. The site has been a huge success and is packed with features, blog articles, training videos, as well as product info and specs. It is a great way to keep abreast of this fast-paced technology with a specific focus on the education sector and how ICT can be used in the classroom. This year Toomey Audio Visual will be located at Stand K7. We will be displaying a range of 65”, 70” & 75” Clevertouch Interactive flat screens. Our product specialists will be on hand to answer all your IFS related queries. This year we have a special surprise for all orders placed at the show so it is the perfect time to order your Clevertouch. If you’d like to arrange a meeting with us give us a call now on +353 1 466 0515 or fill in the form below!